The latest book from Baca Architects, Aquatecture, will be published by RIBA in the spring of 2015. Co-authored by Robert Barker and Richard Coutts, Aquatecture looks to the past and the future as it explores the importance of designing for water in flood-risk areas, in order to best prepare us to adapt to the uncertainties of future climate change. 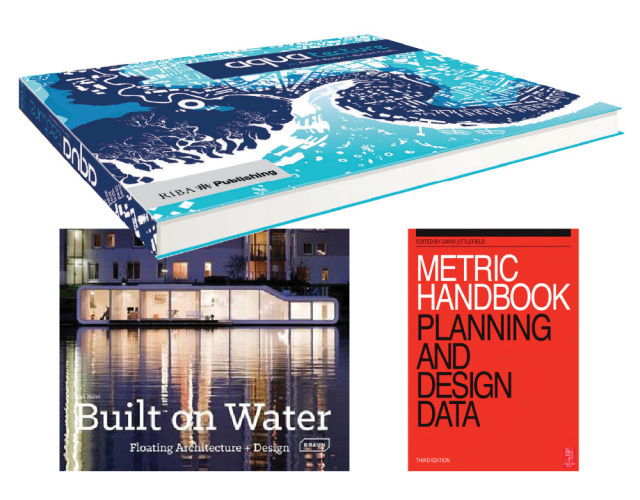 2014 saw the release of the splendid Built on Water book from Braun, showcasing some of the best approaches to dealing with water in architecture. Three Baca projects, The Crown floating village with Water Studio, Amphibious House and floating racetrack concept are each beautifully featured in this impressive hardback book by Lisa Barker. To order copies of either publication, please click on the links above.